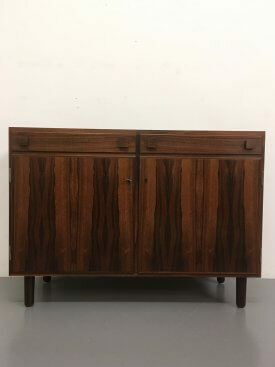 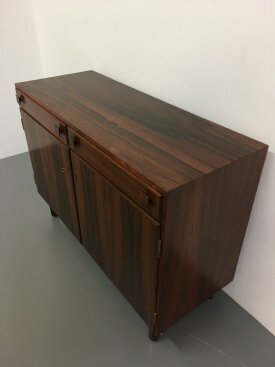 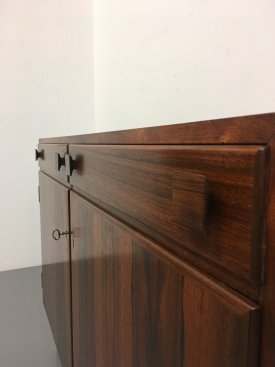 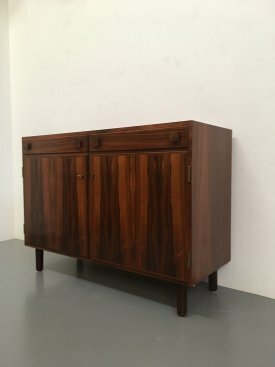 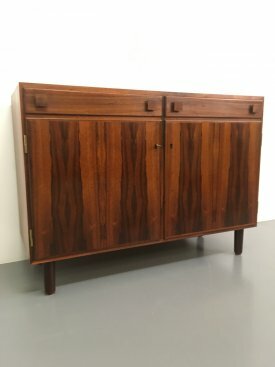 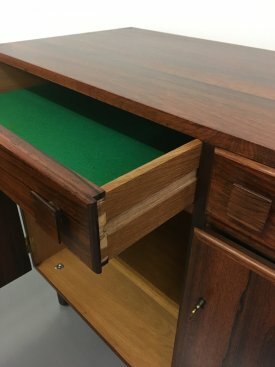 1960’s Rosewood Hundevad cabinet (Denmark). 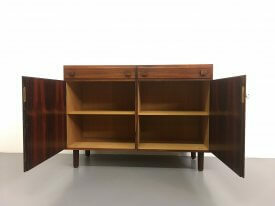 Double doors open to oak lined interior with adjustable shelving and 2 narrow drawers above. 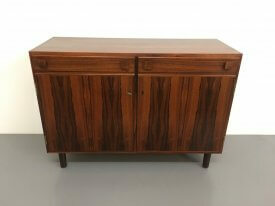 Solid square rosewood handles and solid turned legs.